Little did we know then that a little girl would become the point of reconnection for us to a special memory decades old. Indeed, Mariette's smile was a treat nearly every afternoon during the two months we stayed with Pastor Marco in Kupang, Timor, Indonesia. Her shy eyes would observe a world in us that must have seemed so distant, so foreign, so strange. Less than five years old, little Mariette was adopted by Pastor Marco of West Timor, Indonesia, as the war for East Timor (now known as Timor-Leste) independence from Indonesia raged on. Her father feared for her welfare and, although he didn’t want to let her go, he did. This wisp of a child had a smile that ran from ear to ear, and eyes that seemed full of life. Mariette left a strong impression on us, but that was back in the late 80’s. Although we were able to keep up with Pastor Marco, sadly, Mariette became a distant, cherished memory. So when Mariette friended us on Facebook in 2009, what a shock! Although she was sadly no longer on our immediate radar, we discovered that we were on hers – a truly joyful surprise! A welcome reconnection. In 1998, so weary of the abuse, Mariette opened up and shared with Pastor Marco how Ibu Maria had been treating her. Thankfully, most of the abuse stopped from that time on. Around this time, she got an out-of-the-blue phone call from one of her three biological brothers, who was living on Bali. In fact, she learned that all of her family, except her dad, were living there. She learned that her biological father had divorced her mother and was still in Timor-Leste. The Indonesians granted Timor-Leste independence in 1999 (and formally in 2002). The war had taken a huge toll on the people of Timor-Leste. Estimates reveal a minimum of 102,800 conflict-related deaths in the period 1974–1999 (Source: Wikipedia). In 2002, Mariette saw a headline in one of Indonesia’s major newspapers about the Indonesian President receiving the first Timor-Leste Ambassador to Indonesia. “My brother told me, ‘That’s our uncle!’ The first thing that came into my mind was, ‘God, how can I see him?’” She so longed for reconnection with her birth family. Then, in October, 2004, Mariette finally got to realize her dream of returning to her homeland. She was thrilled at making this reconnection after so long! She met her father and some other relatives while there and realized that she needed to become part of building a new country. In 2007 she was able to return to Timor-Leste with her uncle, since he finished his posting in Jakarta. Her first job there was as a Logistic Assistant for a German NGO. 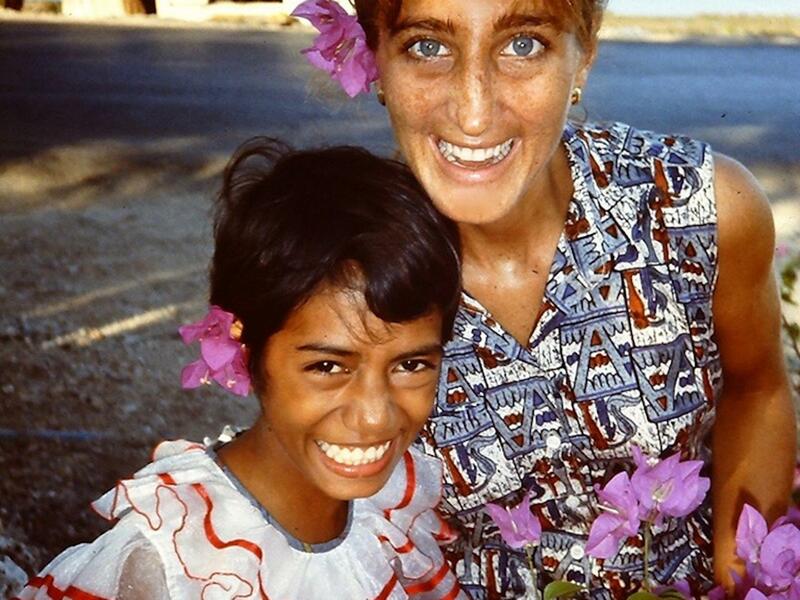 Eventually she applied for a receptionist position with the Australian Embassy in Dili, Timor-Leste. Now she is the Passport/Consular and Protocol Officer. Six years have passed. I asked her if she had travelled or lived outside of Indonesia or Timor-Leste. She replied that her work has taken her to seven countries, and that she is saving money for some big trips. She mentioned that she is also thinking about applying for scholarships that will enable her to study more and eventually get a university degree. Although I have many friends in Southeast Asia, I have to say that I count Mariette among my most precious. True, we haven’t seen each other since the late ‘80’s. And she is not someone I interact with every day. Still, what a jewel. Her life has been difficult in many ways, but the way she has overcome her circumstances is an inspiration to me. I am so grateful for our reconnection (kudos to Facebook!). Is there a Mariette in your life? Can you share your experiences?